The black matte iDesk from Zaor is a stylish studio desk for musicians, producers, and engineers, and includes two integrated 4-space 19" rackmount enclosures. 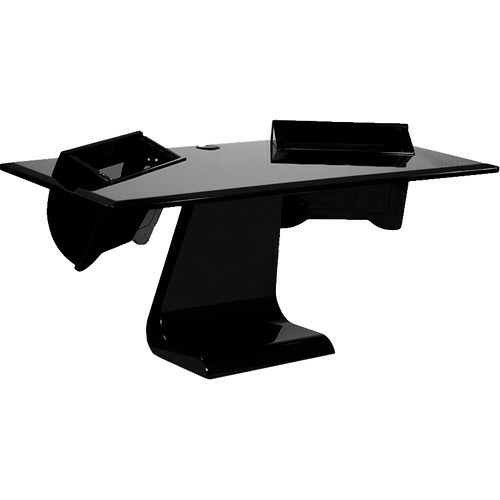 The ergonomic desktop angles at 3° to provide forearm relief, while an integrated cable channel is provided for both rack cases and the rear center of desktop to keep your cabling organized and out of sight. Box Dimensions (LxWxH) 106.0 x 64.0 x 36.0"